Gajar ka halwa recipe in pressure cooker – a quick version of making gajar halwa. It is made from grated carrots, milk, milk powder and sugar. During diwali festival, we are busy with many stuff like cleaning and decorating the house, shopping etc. 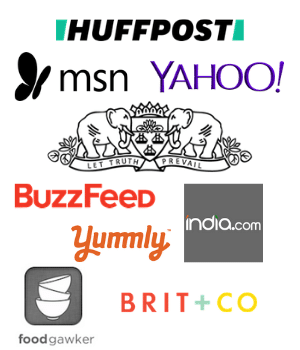 If you are working woman or a mom, you will definitely go short on time. So I thought of sharing and quick and easy dessert recipe that you can make in jiffy. And enjoy it as a dessert after your meal, your family will be happy. The traditional gajar ka halwa takes about 2-3 hours or more (depends on the quantity you are making) to make. While this pressure cooker method only takes 15 minutes to cook halwa. A really big time saver. 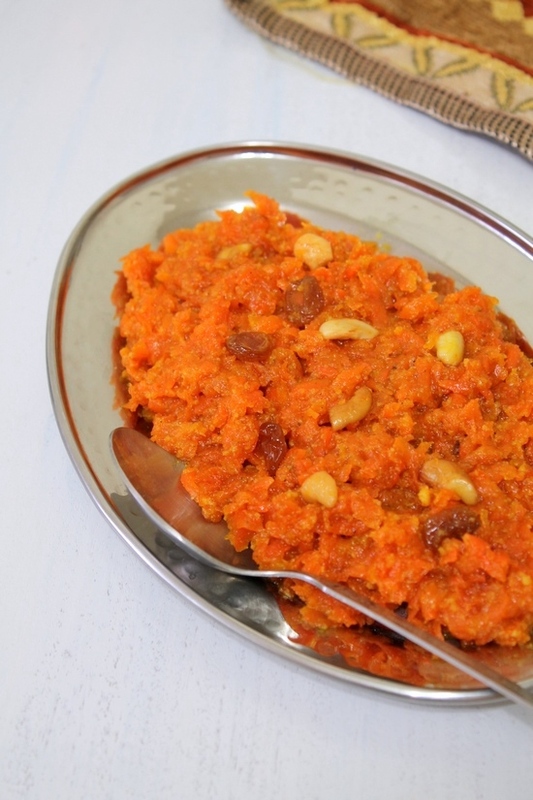 Gajar ka halwa is the popular Indian dessert recipe that I think everyone likes it. Today I am sharing the quick method of making gajar ka halwa using the pressure cooker. In the traditional method, carrots are simmered with milk for hours. Hence milk is evaporated and the milk solids are left in halwa. This makes the halwa rich. To achieve the same result, we are adding milk powder in the halwa. I would recommend adding full fat milk powder to get the best result in terms of taste and texture. But if it is not available then you can go for nonfat milk powder. There are already two methods of making carrot halwa on the blog – 1) Traditional gajar ka halwa 2) carrot halwa with condensed milk. Recently I have shared the carrot burfi recipe as well. 1) Wash the carrots well. Scrub them well or if needed peel them. Now grate them using box grater. 2) Heat the ghee in a pressure cooker on medium heat. Once hot fry the cashews and raisins till cashews are golden brown and raisins are plumped up. Drain and remove them in a separate bowl and keep it aside. 3) In the remaining ghee, add grated carrots. 4) Saute for 2-3 minutes. 5) Then add milk and mix well. Yes it is not enough liquid but it is perfectly fine. 6) Cover the cooker with lid, put the weight on. And cook for 1 whistle on medium heat. 7) Then let the pressure go down by itself then open the lid. 8) You can see, it does not stick to the bottom even though there was not enough liquid. 9) Now again turn the heat on medium. Add milk powder. 11) Now add sugar and mix. 12) As sugar melts, it becomes liquidy. 13) Let it cook for 5-6 minutes or till the all the moisture evaporates and it becomes halwa consistency. 14) Now add cardamom powder and fried cashews and raisins. 16) Halwa is ready to serve. Remove it to a serving plate or bowl. 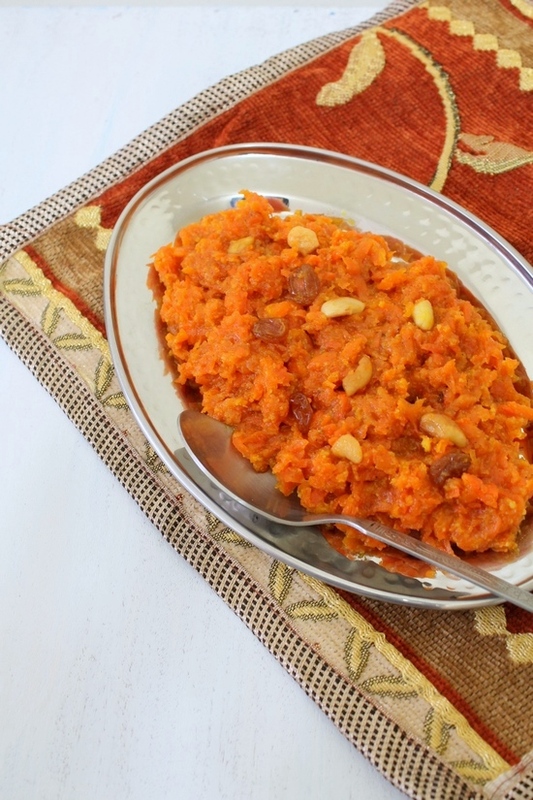 You can serve the gajar ka halwa warm or chilled or at room temperature. Serving suggestion: Serve gajar halwa as a dessert after/with your lunch or dinner. For fancy serving or to impress your guest, serve warm halwa with scoop of vanilla ice cream on top. Wash the carrots well. Scrub them well or if needed peel them. Now grate them using box grater. Once hot fry the cashews and raisins till cashews are golden brown and raisins are plumped up. Drain and remove them in a separate bowl and keep it aside. In the remaining ghee, add grated carrots. Saute for 2-3 minutes. Then add milk and mix well. Cover the cooker with lid, put the weight on. And cook for 1 whistle on medium heat. Then let the pressure go down by itself then open the lid. Now again turn the heat on medium. Add milk powder. Mix well and cook for a minute. As sugar melts, it becomes liquidy. Let it cook for 5-6 minutes or till the all the moisture evaporates and it becomes halwa consistency. Now add cardamom powder and fried cashews and raisins. Mix well. its 1 tablespoon of ghee.